13 miles of pristine beaches. World-class resorts and golf courses. Endless opportunities for shopping, dining, and recreation. Lush tropical surroundings and majestic views of the Atlantic Ocean and the Intracoastal Waterway. When you’re living in Amelia Island, each day feels like a summer vacation. And for Claudia Watts and her team, there’s no better place to call home. If you’re looking forward to enjoying your very own piece of paradise in Amelia Island, you won’t find a more seasoned expert to have at your side than Claudia. 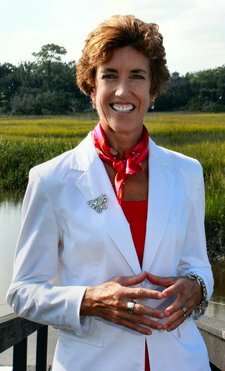 As one of the principals of COLDWELL BANKER The Amelia Group, she is here to help you navigate Amelia Island’s exciting resort markets in the smoothest and most seamless way possible. 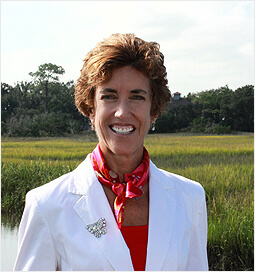 Claudia boasts more than two decades of experience in Amelia Island real estate, as well as an in-depth understanding of the market and the coastal lifestyle. Known for providing unparalleled customer service, she specializes in some of the most desirable neighborhoods including Amelia Island Plantation, Summer Beach, Fernandina Beach, and other well-known island and mainland communities. Whether you’re buying or selling a home in Amelia Island, you won’t find a better real estate pro who can work with you to fulfill your goals. This is one of Florida’s most highly desirable markets – you want to have someone who knows the area inside and out. Nestled in the northeastern corner of Florida, Amelia Island is a laidback paradise steeped in history – the picturesque island is known as the only place in the entire country to have existed under eight flags through over 400 years, starting with the French in the mid-1500s. Today, the island is known for its plethora of offerings, including world-class golf courses and resorts, incredible shopping and dining venues, a historic downtown area, near-endless recreational activities, and over 13 miles of serene, sun-soaked beaches. Complementing its incredible destinations is a diverse selection of wonderful real estate options available for anyone thinking about relocating to Amelia Island. Options here include comfortable condos and townhomes to luxurious oceanfront estates and nearly everything in between. Buyers will be able to choose from a variety of locations as well – whether you choose to live right next to the beach, in a secluded area surrounded by mature oaks, close to downtown historic Fernandina Beach, or steps away from the golf course, you’re sure to find an ideal location that’s perfect for your lifestyle. Begin your search for your dream home in Amelia Island today! You can start you search for the perfect home in Amelia Island by taking a look at some of our Featured Properties or using the customizable search tool if you’re looking for a more specific type of property. If you want to know more about some of the wonderful areas throughout Amelia Island, check out our featured communities section where you can read more about some of the communities we specialize in, including Amelia Island Plantation, Summer Beach, Fernandina Beach, Downtown Historic Fernandina Beach, or the island and mainland communities.